This is a very stylish centre light. 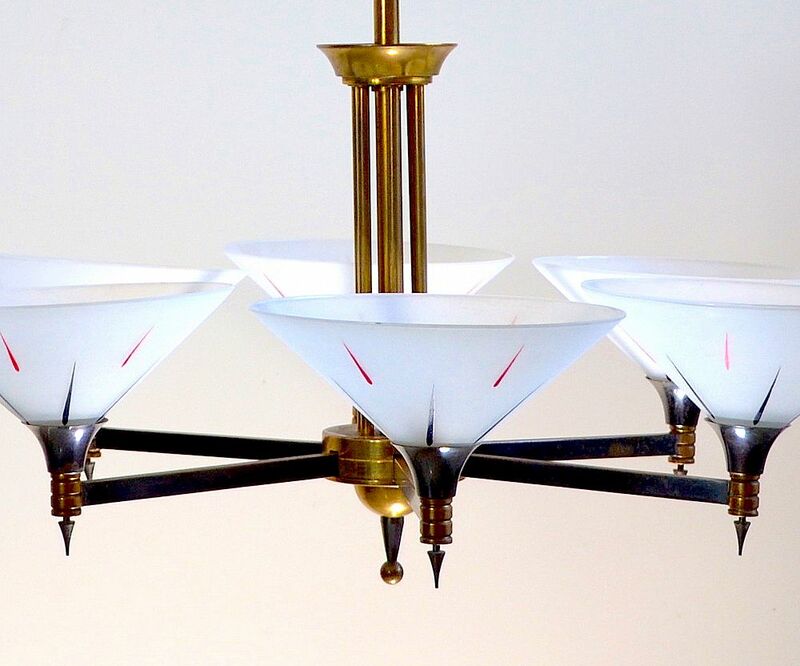 It is made of gilded metal that has been coated with a pewter coloured lacquer on the branch arms the bulb holders and on the ceiling fitting. to create contrast. 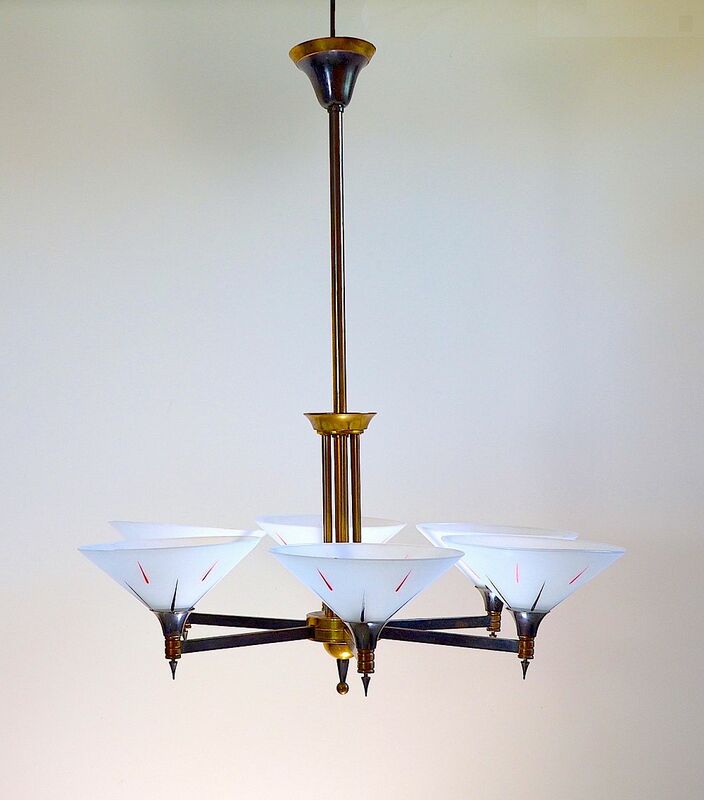 The tulip shaped ceiling fitting is above a gilt metal cylindrical rod that is surrounded by 6 smaller cylindrical rods half way down above a round central section from which the 6 branch arms emanate like spokes. 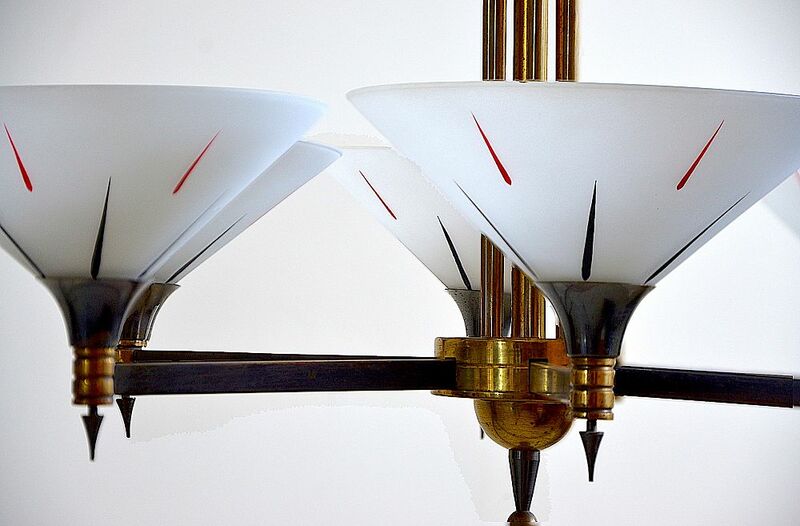 The broad "V" shaped glass shades have a white coating with red and black flashes.